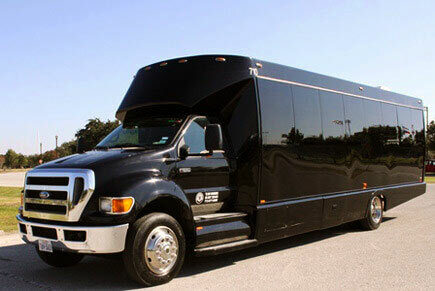 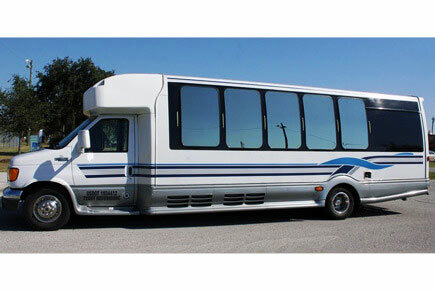 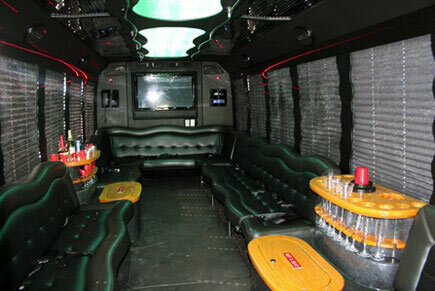 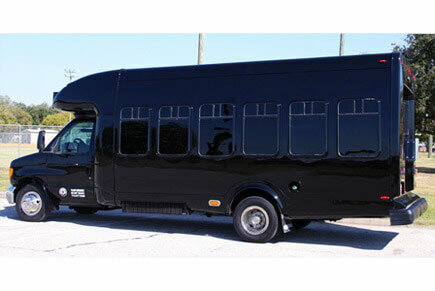 Great for small or medium sized groups this bus contains a stellar sound system, a dance pole, and a full light show! 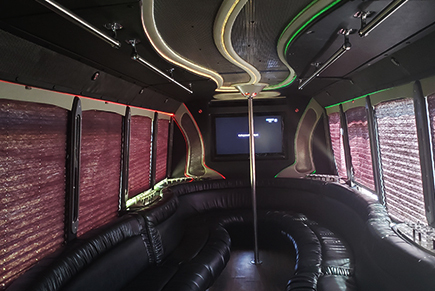 For our larger groups, it contains 3 flat panel TVs, an awesome booming sound system, a dance pole, and several built in bars with ice and cups! 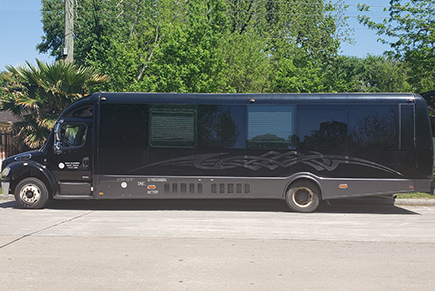 Excellent for large groups, this bus contains plenty of room to party, comfortable leather seating, built in bars and a dance pole! 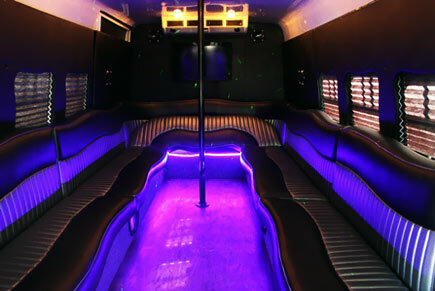 Have a great night with you and all your friends as you drink in one of its many built in bars, a state of the art sound system and light show, and a dance pole!